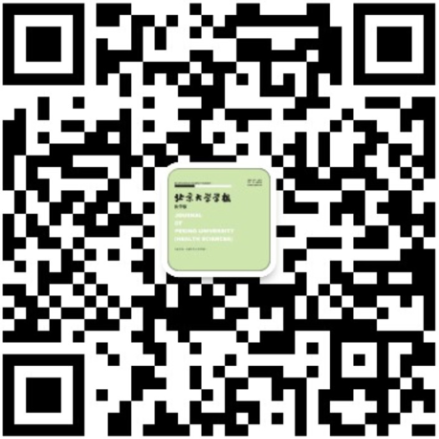 Abstract: Objective： To explore the levels of blood manganese concentration in pregnant women in 1st and 2nd trimester and the associated factors in three counties of northern China. Methods: We carried out a crosssectional investigation in three counties of northern China in 2010. Two hundred and seventy three pregnant women whose gestational age was less than 28 weeks were recruited, their demographic characteristics and information on exposure to indoor air pollution from coal combustion and dietary during one month before pregnancy till the date of investigation were collected with questionnaires by face-to-face interview, their fasting venous whole blood samples were collected with vacuum blood collection tube containing heparin lithium at the Maternal and Child Health Hospital in the three counties. Their blood manganese concentrations were measured with inductively coupled plasma mass spectrometry (ICP-MS). Nonparametric tests were used to compare the concentrations among the groups and multivariate unconditional Logistic regression model was used to adjust the confounding factors. Results: The geometric mean of blood manganese of the women was 16.78 (95%CI: 16.14－17.45) μg/L, and the median (interquartile range) was 16.59 (13.68－20.44) μg/L. According to the reference range of general healthy adult female’s manganese concentration in the whole blood 3.39－20.67 μg/L, the proportion of manganese concentration lower than normal, normal, higher than normal were 0%, 76.6% and 23.4%, respectively. Medians of blood manganese concentrations among the women in Yushe, Dai and Xianghe were 17.51 (13.96－22.04), 16.92 (13.78－21.45) and 15.43 (12.25－17.56) μg/L, respectively (P<0.05), and multivariate analysis found that the risk of higher than normal in Yushe County was 6.15 (95%CI: 1.21－31.35) times the risk in Xianghe county. Blood manganese concentrations were higher in women who were farmers, had lower income per month, and consumed more vinegar and less peppers, pork, beef and mutton during the month before investigation (all P<0.05), the adjusted odds ratio (AOR) between these factors and high blood manganese concentration were not statistically significant No statistical associations were found between blood manganese levels and indoor air pollution from coal combustion for both of crude odds ratrio (COR) and AOR (P>0.05). Conclusion: The blood manganese concentration among pregnant women in the three counties is similar to the women in some other studies abroad and quite different from the findings of several domestic researches. The risk of blood manganese concentration higher than normal in Yushe county was higher than Xianghe county. The relationships between high manganese concentration and exposure to indoor air pollution from coal combustion or dietary need further research in the future. 孙颖，靳蕾. 中国北方3县妊娠妇女血液锰浓度及其影响因素[J]. 北京大学学报(医学版), 2018, 50(3): 463-468. SUN Ying, JIN Lei. Blood manganese levels among pregnant women and the associated factors in three counties of northern China[J]. Journal of Peking University(Health Sciences), 2018, 50(3): 463-468. 胥佳佳,王燕,孙贺,贾汝琳,张学武,孟洋,任丽丽,孙晓麟. 可溶性白细胞介素2受体α链的检测与类风湿关节炎疾病活动性评估[J]. 北京大学学报（医学版）, 2018, 50(6): 975-980. 李胜光,张清,周惠琼. 抗中性粒细胞胞质抗体相关性血管炎的病情评估方法及其相关性[J]. 北京大学学报（医学版）, 2018, 50(6): 1022-1026. 顾婕昱,陆翠,石慧,杨程德. 14例恶性抗磷脂综合征病例报道及临床分析[J]. 北京大学学报（医学版）, 2018, 50(6): 1033-1038. 李记,郑莉,石连杰,徐婧,舒建龙,张学武. 可溶性内皮糖蛋白在抗磷脂综合征患者的血清水平及临床意义[J]. 北京大学学报（医学版）, 2018, 50(6): 1027-1032. 丁艳苓,沈宁,周庆涛,贺蓓,郑佳佳,赵心懋. 非免疫缺陷宿主念珠菌血流感染[J]. 北京大学学报（医学版）, 2018, 50(6): 1063-1069. 杨帆,周云杉,贾园. 系统性红斑狼疮合并获得性血友病A 1例[J]. 北京大学学报（医学版）, 2018, 50(6): 1108-1111. 吴天伟，崔蓉，张宝旭. 高效液相色谱法测定小鼠血浆中8-甲氧基补骨脂素及其药代动力学研究[J]. 北京大学学报(医学版), 2018, 50(5): 792-796. 赵灿，胡京敏，郭丹杰. 血浆D二聚体临界值联合Wells量表对可疑肺栓塞的除外价值[J]. 北京大学学报(医学版), 2018, 50(5): 828-832. 李金勇，孙宏亮，叶志东，樊雪强，刘鹏. 颈动脉斑块成分和体积的多排螺旋计算机断层扫描血管成像技术评价[J]. 北京大学学报(医学版), 2018, 50(5): 833-839. 李刚，王健生，秦思达，张佳，杜宁，张靖，孙欣，任宏. 布地奈德联合氨溴索氧化驱动雾化吸入预防成人开胸术后肺炎的临床疗效[J]. 北京大学学报(医学版), 2018, 50(5): 840-844. 倪莲芳，王鹤，李虹，张志刚，刘新民. 非人类免疫缺陷病毒感染肺隐球菌病34例临床分析[J]. 北京大学学报(医学版), 2018, 50(5): 855-860. 王芳芳，杨殷杰，侯晓玫. 电火花蚀刻镍钛根管锉HyFlex EDM的表面形态和抗疲劳折断性能[J]. 北京大学学报(医学版), 2018, 50(5): 876-881. 何娜，闫盈盈，应颖秋，伊敏，么改琦，葛庆岗，翟所迪. 持续静脉血液滤过联合体外膜肺氧合治疗1例急性重症胰腺炎的万古霉素个体化治疗方案报道[J]. 北京大学学报(医学版), 2018, 50(5): 915-920. 王昊，陈亮，叶小云. 雷公藤甲素对TM4细胞氧化应激及PI3K/AKT通路的影响[J]. 北京大学学报(医学版), 2018, 50(4): 607-612. 王建伟，满立波，黄广林，王海，徐啸，朱晓斐，李玮，刘振华. 经会阴三步法手术策略治疗单纯性男性骨盆骨折后尿道离断[J]. 北京大学学报(医学版), 2018, 50(4): 617-620.